The UFC Nashville main card will kick off when “The Future” Maycee Barber meets JJ Aldrich in a featured flyweight contest. Barber (6-0) will be fighting for the first time in her new weight class of 125 pounds on Saturday night. 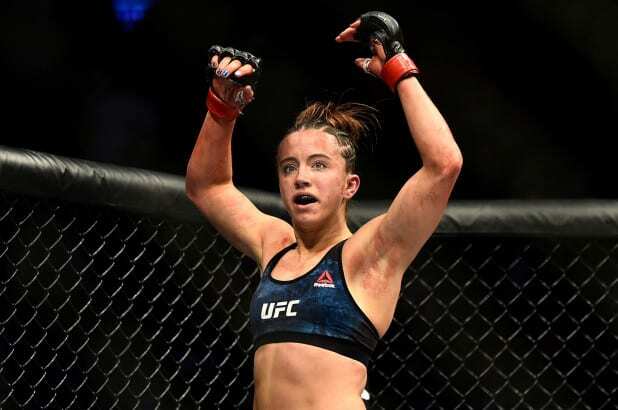 The 20-year-old phenom most recently defeated Hannah Cifers at UFC Denver last November. As for Aldrich (7-2). 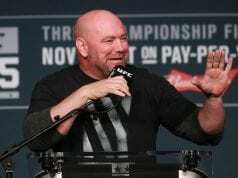 She has won five of her last six fights, with her most recent victory coming against Polyana Viana at UFC 227. Aldrich quickly takes the center of the cage and presses the action. She lands a straight right hand that floors Barber. Barber gets back to her feet but looks shaky. Aldrich lands another left hand but Barber seems to have regained her wits. Barber finds her offense as she lands a hard leg kick. She throws another leg kick but eats a right hand from Aldrich. Barber continues to work the leg kicks but Aldrich is landing a counter punch for every leg kick. Both women flurry but neither landing anything significant. Aldrich lands another jab. Barber throws a head kick that misses. Barber misses a combo and eats a right from Aldrich that drops the 20-year-old. Barber gets back to her feet and eats an elbow. The round ends. The women meet in the center of the Octagon to start round two. Aldrich presses forward as Barber lands a body kick. She fires a left-hand cross that lands straight down the pipe. Barber throws a looping left and tries to get int he clinch. Aldrich avoids and continues to press forward and land. Barber lands a nice left hand, she follows it up with a hook. She begins to move forward but Aldrich pumps the jab to shut it down. Aldrich lands a couple of elbows that cause the fighters to break. Barber cracks Aldrich with a left hand. Aldrich is hurt. She stumbles back as Barber closes in for the kill. She backed up and unloads a combo that sends the referee in to stop the fight. Perhaps a bit early.